Established in 2012, we, Konark Ties have established manufacturer in the industry. The company was formed as a sole proprietorship firm and is engaged in offering a quality assured a range of Cable Tie & Cable Clips. Our products are designed by specialized personnel, who are known to the demands as well as specifications of clients. The optimum quality raw material is used for product development, which is sourced from reliable vendors of the market. We are growing day by day and achieving the support of large customers by catering to the rising demands efficiently. We strictly follow the quality guiding principles of industry, through which we are capable assuring clients that our range is according to the suggested norms as well as parameters. Clients are facilitated with different payment options, which make the monetary transaction convenient and hassle free. Combined with the products’ excellence, we ensure to meet bulk orders within promised time frame. Our company has grown substantially under the intellectual guiding principles of Mr. Vishesh Gupta (Proprietor). His policy of making continuous interaction with customers to understand their appropriate requirement has helped us becoming their foremost choice. Moreover, it is due to his rich business experience, truthful working approach, visualization and excellent administrative qualities that our company acquired the large support of clients successfully that are based all across the nation. To design and manufacture products as per clients expectations as well as to carry well-organized business practices, our company has established sophisticated infrastructure within the premises. It spread over a large area and is categorized efficiently into several units, which encompasses designing, production, logistics, sales and marketing, research and development, warehousing and packaging, quality control and much more. Apart from this, we update our entire facility on regular intervals to remain in tune with the upcoming developments and specifications of the industry. Manufacturing of Cable Tie & Cable Clips. Our company believes in the fact that, “collective contribution is always greater than individual contribution”. This spirit has inspired our personnel to carry all operation in best possible manner. Our team performs in close coordination with one another to attain set company’s targets successfully. Further, our team consists of designers, production personnel, quality controllers and many others. We are backed by the sound infrastructural facility, which covers up wide landmass and equipped with all amenities that is necessary for the execution of outstanding trade practices. Our production department is equipped with the latest equipment, through which, we develop bulk products within given time period. In our spacious warehouse, we ably make storage of the finished and unfinished consignment. It is since establishment that our company is enjoying respected status in the industry, which is due to our capability of delivering products as per clients’ expectations. For making customers immensely satisfied, we provide them tailor made solutions. 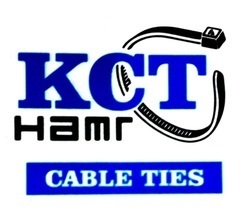 We manufacture these products under the own brand name KCT.